Sea cucumbers are marine invertebrates, habitually found in the benthic areas and deep seas across the world. 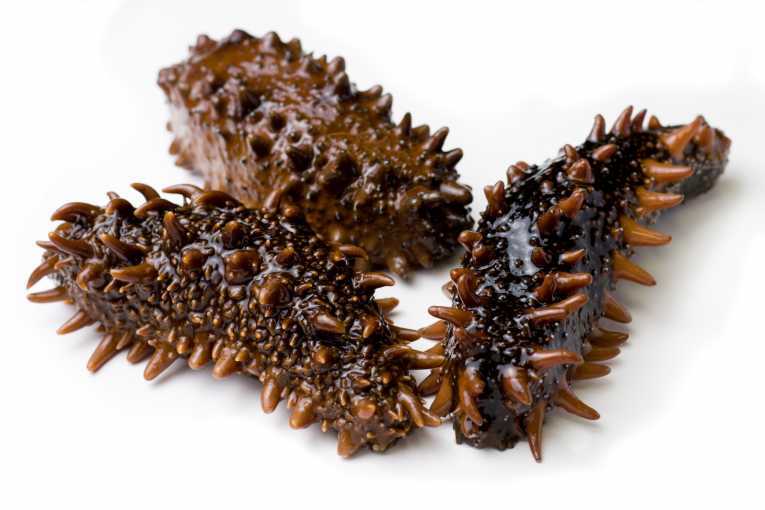 Sea cucumbers, informally named as bêche-de-mer, or gamat, have long been used for food and folk medicine in the communities of Asia and Middle East. Nutritionally, sea cucumbers have an impressive profile of valuable nutrients such as Vitamin A, Vitamin B1, Vitamin B2, Vitamin B3, and minerals, especially calcium, magnesium, iron and zinc. A number of unique biological and pharmacological activities including anti-angiogenic, anticancer, anticoagulant, anti-hypertension, anti-inflammatory, antimicrobial, antioxidant, antithrombotic, antitumor and wound healing have been ascribed to various species of sea cucumbers. Therapeutic properties and medicinal benefits of sea cucumbers can be linked to the presence of a wide array of bioactives especially triterpene glycosides (saponins), chondroitin sulfates, glycosaminoglycan (GAGs), sulfated polysaccharides, sterols (glycosides and sulfates), phenolics, cerberosides, lectins, peptides, glycoprotein, glycosphingolipids and essential fatty acids. This review is mainly designed to cover the high-value components and bioactives, as well as the multiple biological and therapeutic properties of sea cucumbers with regard to exploring their potential uses for functional foods and nutraceuticals.